Welcome to the first PACE newsletter of the year. We have a lot of interesting things planned for the year ahead and we will continue to give you monthly updates on some of the services and fun things we have going on. Also, be sure to keep your eyes peeled for those all important holiday playscheme dates… we wouldn’t want you to miss out! The Artist in Training project is an exciting and creative arts project held on Saturdays for children aged 7-14 held at Fairfield Playcentre once a month with weekly follow up workshops taking place in the after school club. At each session our team of playworkers aim to teach the children different techniques and skills whilst having a lot of fun creating new pieces of art. 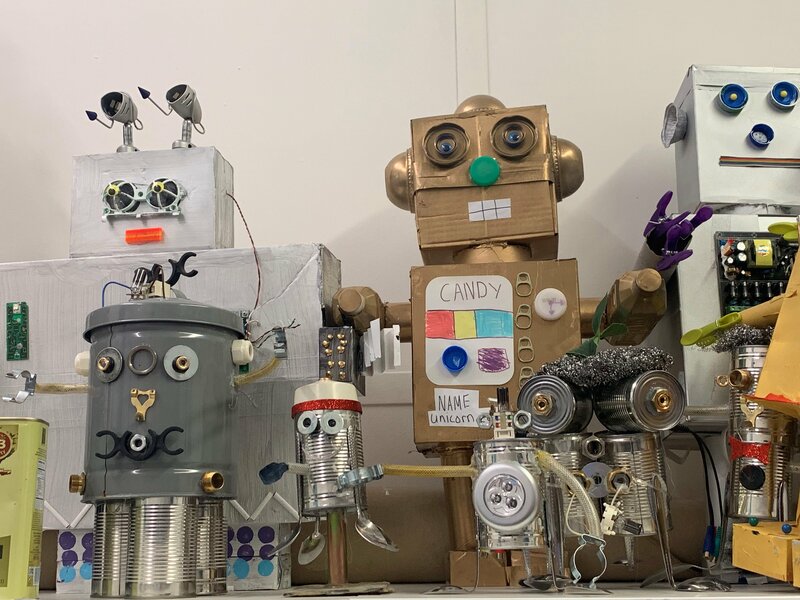 Some of our sessions have seen the children construct things like Monster Robots and Colourful Shiny Fish using everyday materials including plastic bottles, cardboard and milk bottle tops. Artist in Training is available to children with all needs and abilities, so if you fancy trying your hand at being the next Picasso or just want to have some messy fun with us, come along to our next Saturday session being held on the 23rd of February. Children with special educational needs, disabilities and/or family support needs are eligible for a free referral place. If you would like any further information, please feel free to give us a call on 020 7183 5120 or to make a referral CLICK HERE. The February Half-Term is upon us and we still have spaces available at Fortune Green and Fairfield. Why don’t you come and join us for a week of fun-filled activities including arts and crafts, cooking and organised sports games. There will also be day trips to venues such as local parks, the cinema and ice skating. Take a look at our full programmes on our booking page. If that doesn’t tickle your fancy then you have the opportunity to relax and play freely with old friends and new ones. Spaces are limited so be sure to book your place as this isn’t something you want to miss out on! If you would like any further information, please give us a call and one of our friendly team members will be happy to help and answer any questions you may have. PACE would like to say a massive thank you to The American School based in St Johns Wood. On the 21st of October The American School came to Fairfield for a community service day which entailed a group of parents and children coming to our site to do some voluntary refurbishment works. We had roughly 60 people turn up on the day to take part in gardening, painting and general maintenance both inside and outside the building. The American School funded this day and the finished work changed the areas that were in much need of some love and care. We were so in awe of their gesture and hard work. We look forward to working with them again in the future.